During the week I’m usually super busy with t.listed (and I guess school?) so I don’t really have time to make crazy meals. This recipe is really easy, quick and extremely filling. Carbonara has to be one of my favourite dishes. It involves pasta, cheese, butter and bacon.. What else do you need?! It’s not the healthiest of meals, but you can always make moderations to ‘healthify’ it. You could use turkey bacon instead of real bacon (but common.. who can say no to bacon?! 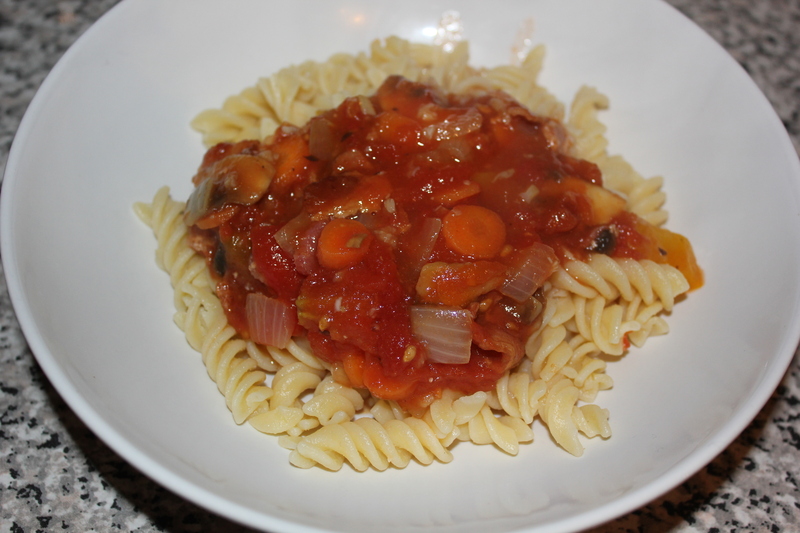 ), switch parmesan for a low fat cheese and (in my case) use gluten free pasta. Making this dish takes the amount of time needed to cook pasta, so no need to do any prep (and perfect for those last minute dinner guests). First, start boiling your water for the pasta. 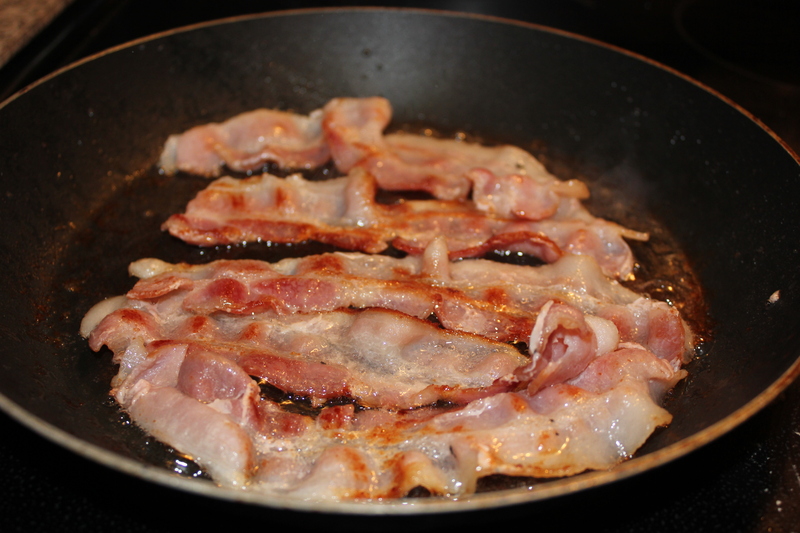 Next, cut your bacon into small cubes and place in a frying pan on low heat. Once fully cooked, place on a plate and set to the side. Next, in a separate bowl, crack your 3 eggs and whisk. Add the parmesan to your eggs and mix thoroughly. Then add your salt and pepper. Your water should be boiling now, so pour in your pasta (I did the whole box because I was feeding 5 people). 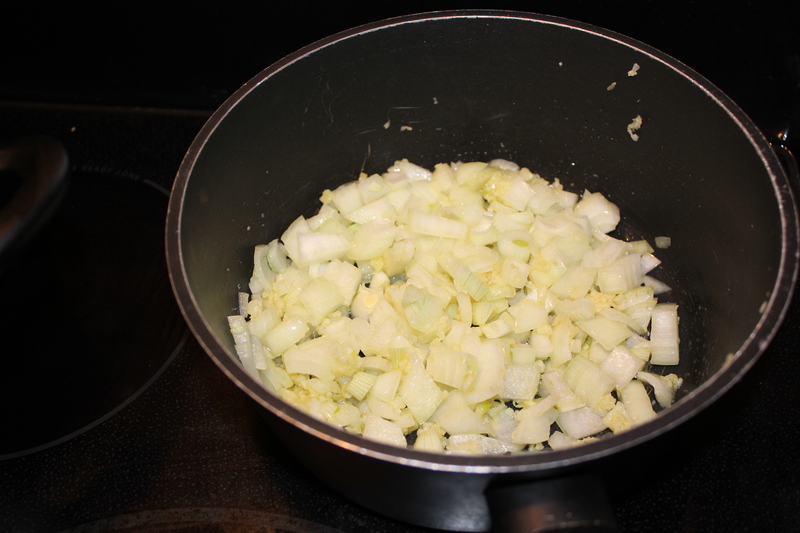 Once the pasta is cooked and drained, add about 1 tsp of butter and stir. Next, add your egg and cheese mix. Your pasta is still extremely hot so it will cook the eggs and melt the cheese! 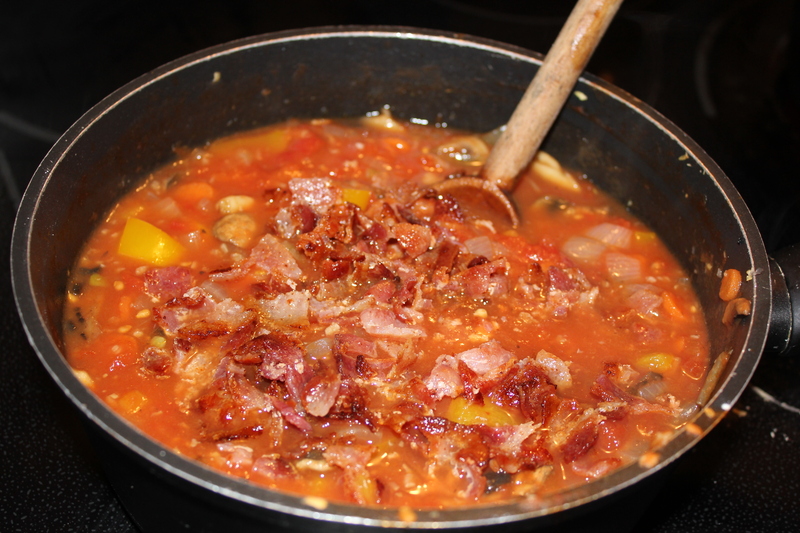 Once it is all mixed, add your bacon (but make sure to save some to sprinkle on top!). 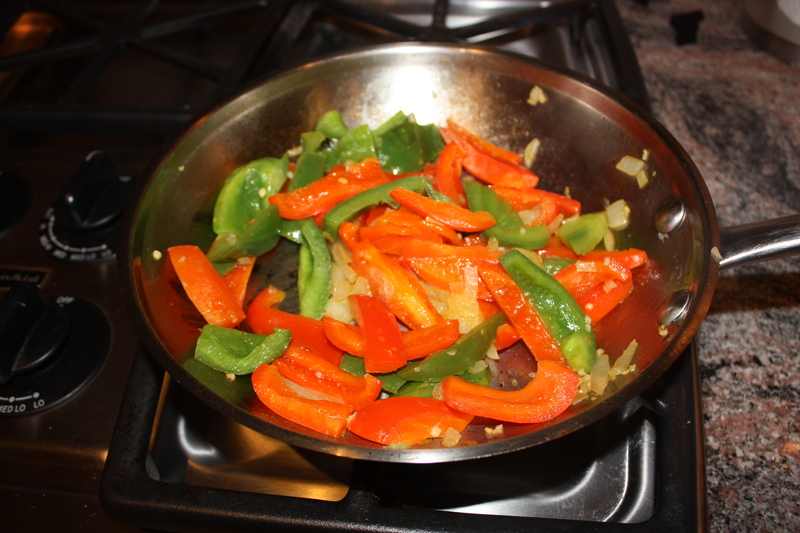 We are all really big vegetable eaters here, and absolutely love to make stir frys. We experiment a lot with different meats, fish and various types of veggies. We found this recipe online that was really simple and is one of the most delicious ones we’ve ever made! Since I’m gluten free, we opted for egg noodles, but you can use any type you want.. Even rice! 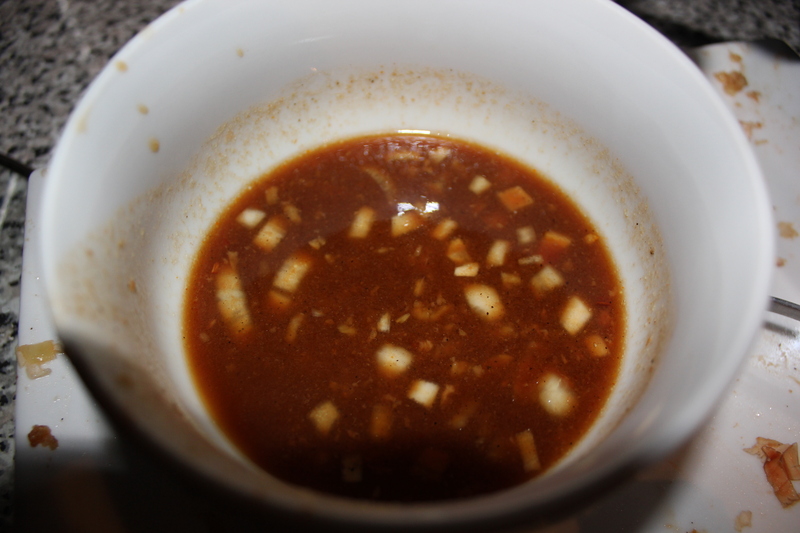 First, in a small bowl, combine your sesame oil and soya sauce and place to the side. Next, chop all of your vegetables up and set to the side. Next, take a large frying pan and set to medium heat. Add your olive oil and garlic. Once this is somewhat hot, add your onions and carrots. 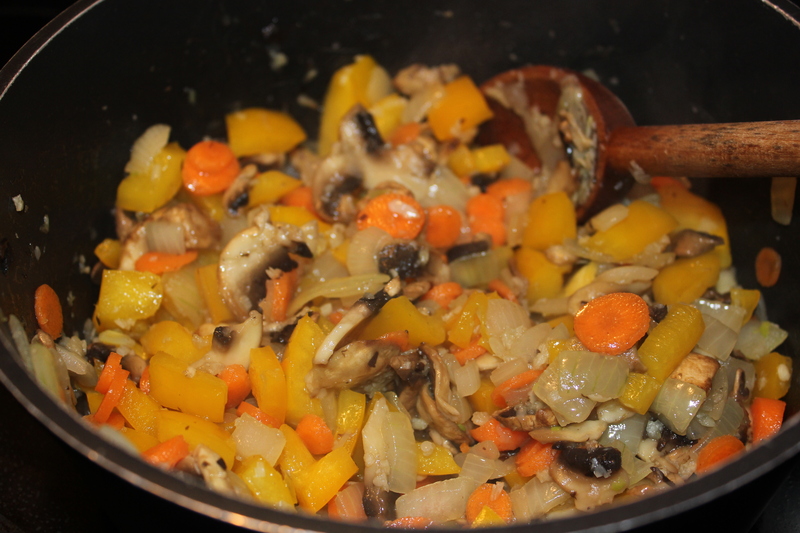 After a few minutes, add your peppers, celery and mushrooms. 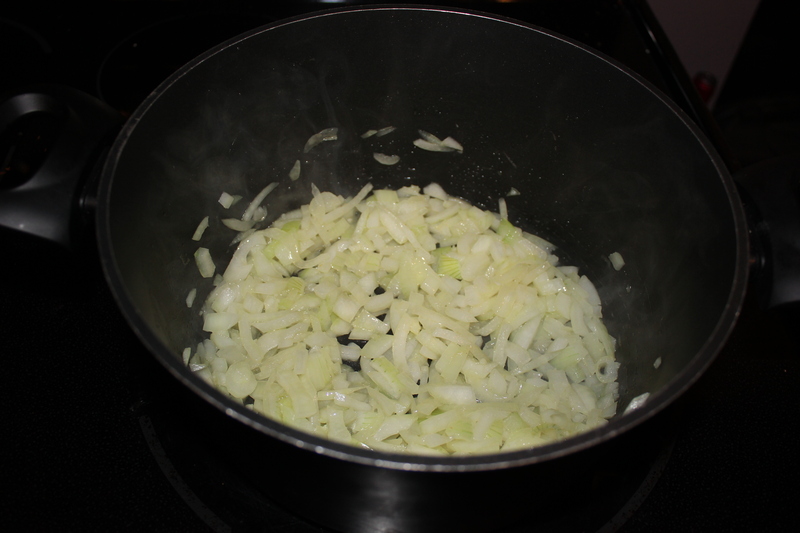 Once you notice the onions start to become kind of see through, add your broccoli and remove from heat. Now, boil your water for the egg noodles. 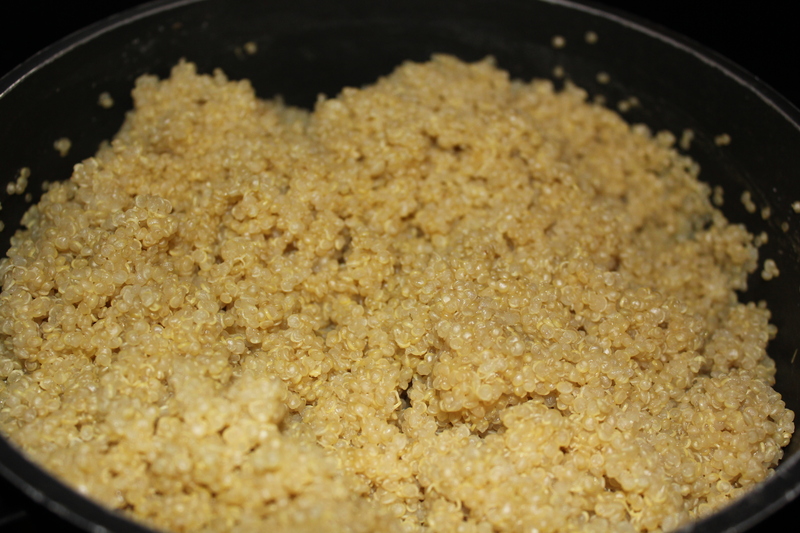 Once cooked and drained, add about 1 tsp of sesame oil and thoroughly mix. Next, in a separate frying pan, cook your shrimp in some olive and garlic. When they’re cooked, add them to your vegetables. After you’ve added the shrimp to the vegetables, pour in the sauce and mix! Place noodles on a plate, pour the vegetables over and enjoy! 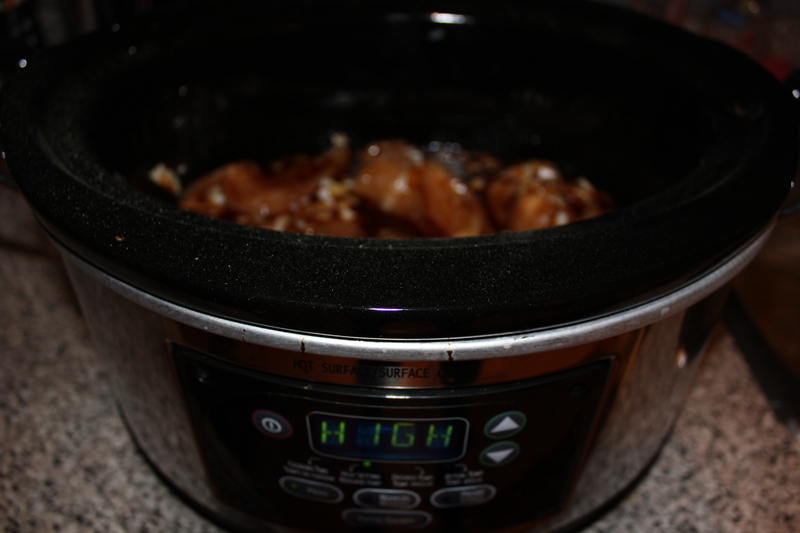 This recipe for Honey Sesame Chicken is quick to prepare and then it just has to sit in the slow cooker for a couple hours. It can be served over quinoa, rice, or as an asian slider on buns. 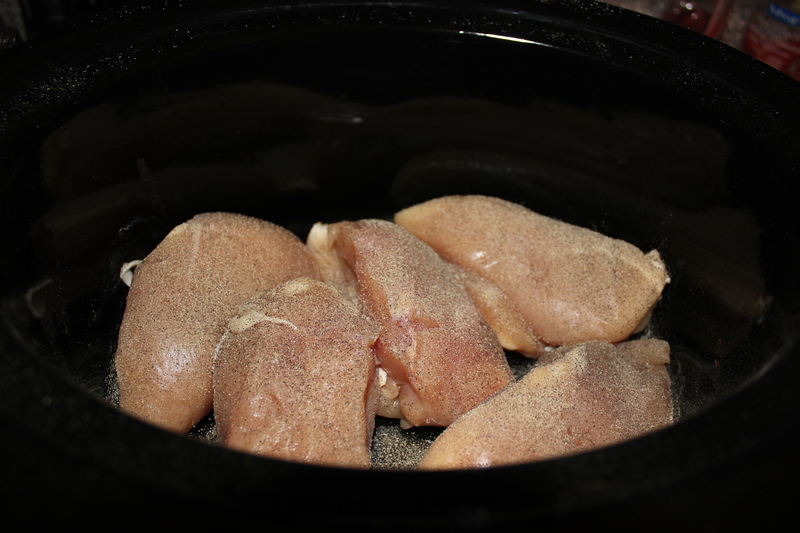 Place the chicken breasts in the crock pot and season both sides well with salt and pepper. 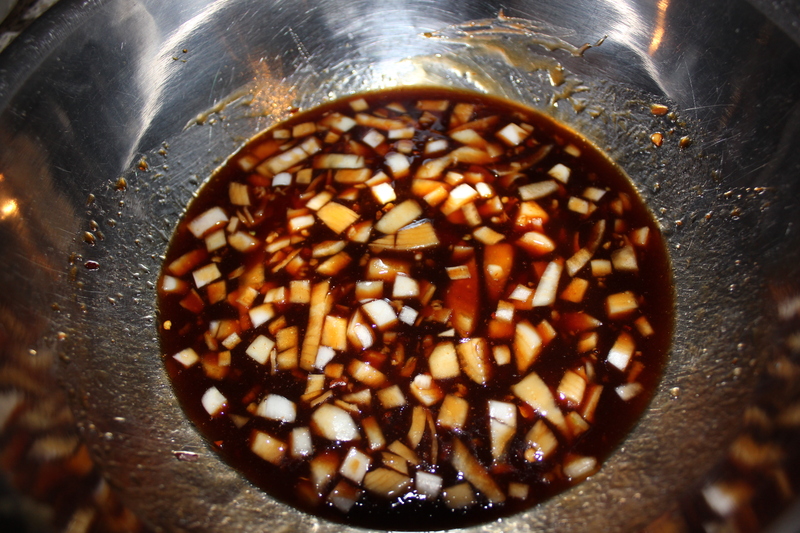 In a medium sized bowl mix the garlic,onion,honey,ketchup,soy sauce, olive oil, and red pepper flakes. 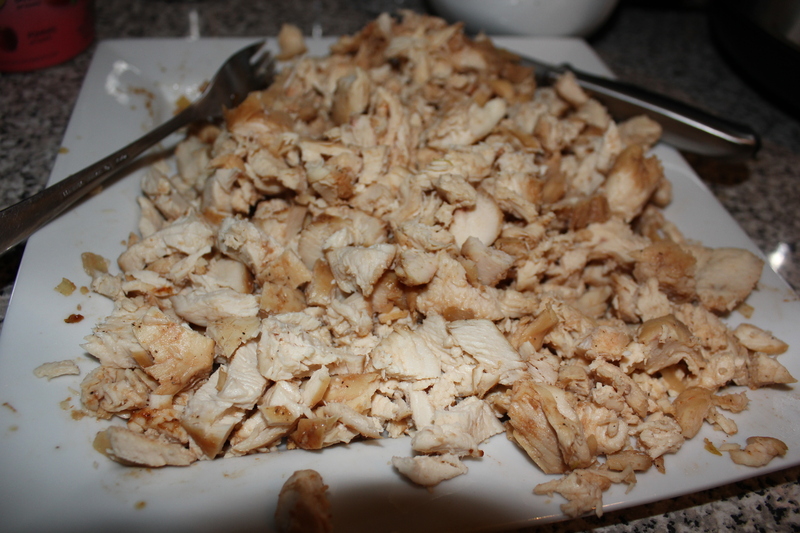 Pour the mixture on top of the chicken and make sure both sides are covered well. Turn the crock put on high and cook for 2 hours, or on low for 3-4 hours. 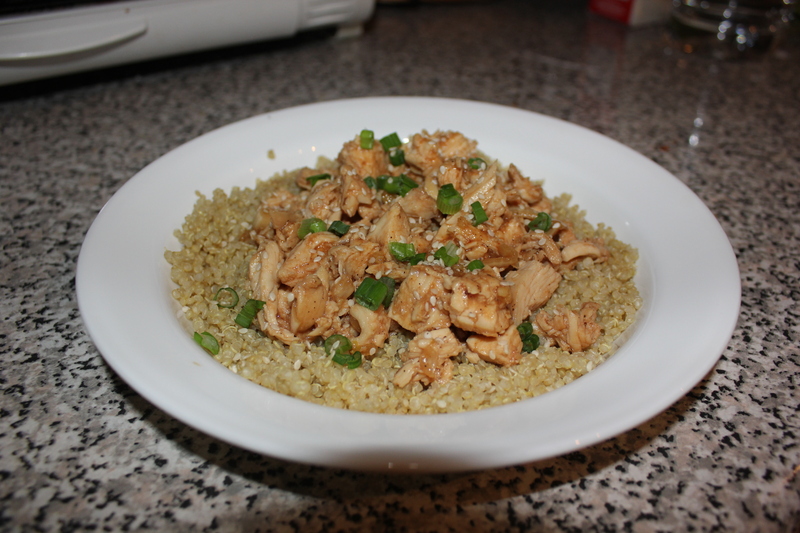 Prepare any quinoa or rice that you want to serve the chicken on. Follow cooking directions on package. 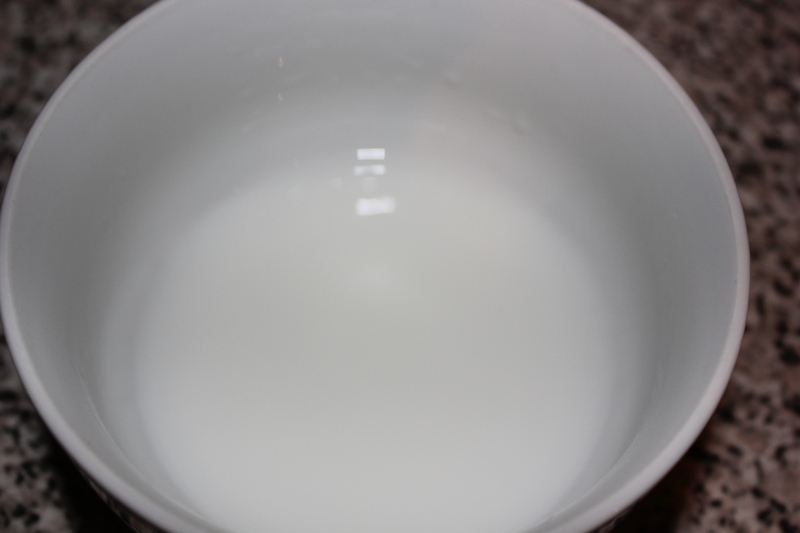 In a small bowl mix cornstarch and water well, set aside. 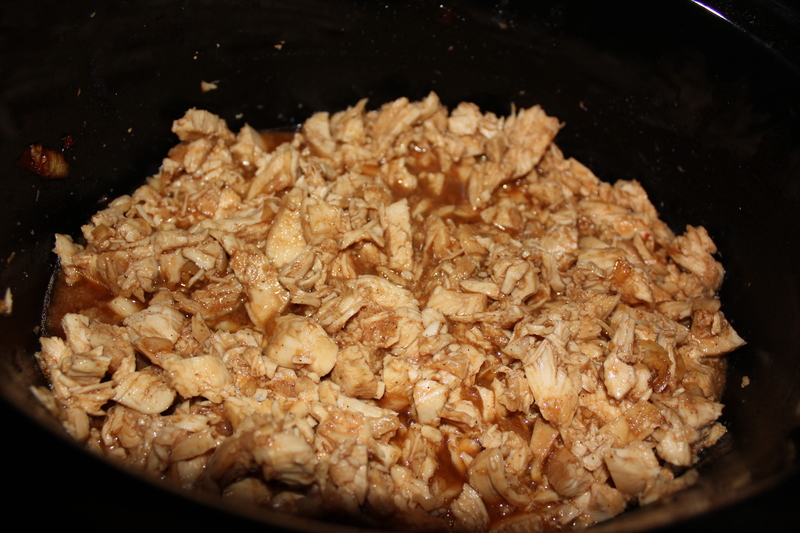 When the chicken is finished cooking, remove only the breasts from the crock pot, leave any extra juice. 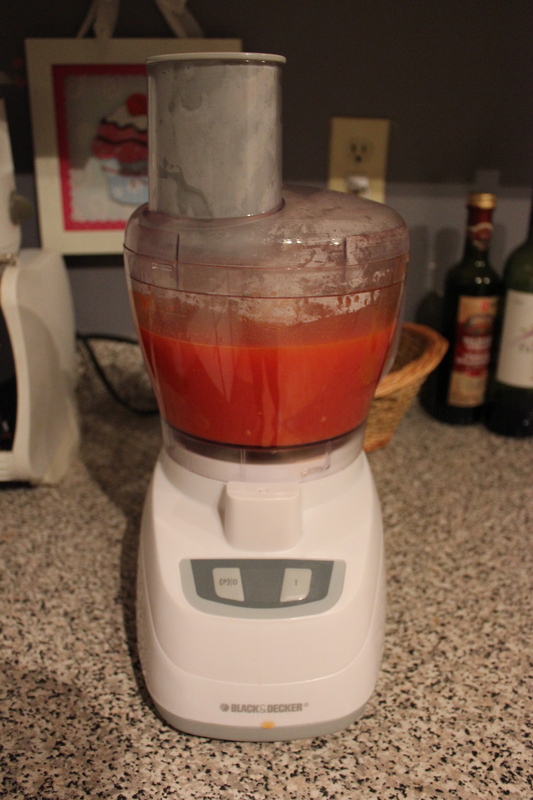 Add the cornstarch/water mix to the juice and let cook for 10 minutes. Cut the chicken breasts up into bite sized pieces. 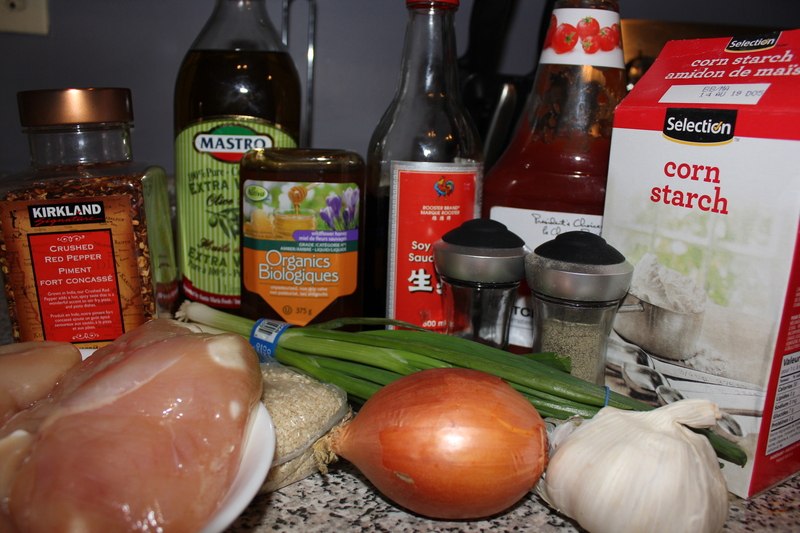 Remove some of the sauce and put it in a small bowl to later serve over the chicken and quinoa. 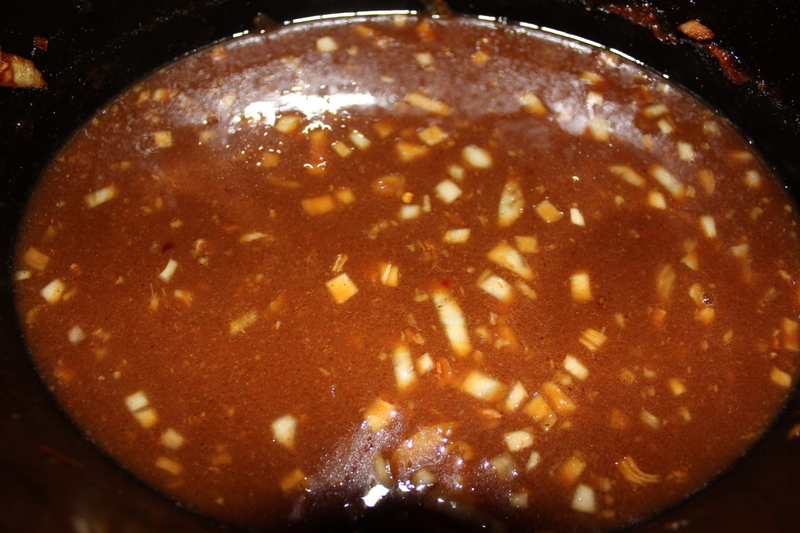 Put the chicken back into the crock pot with the rest of the sauce and let it cook for another 30 minutes. 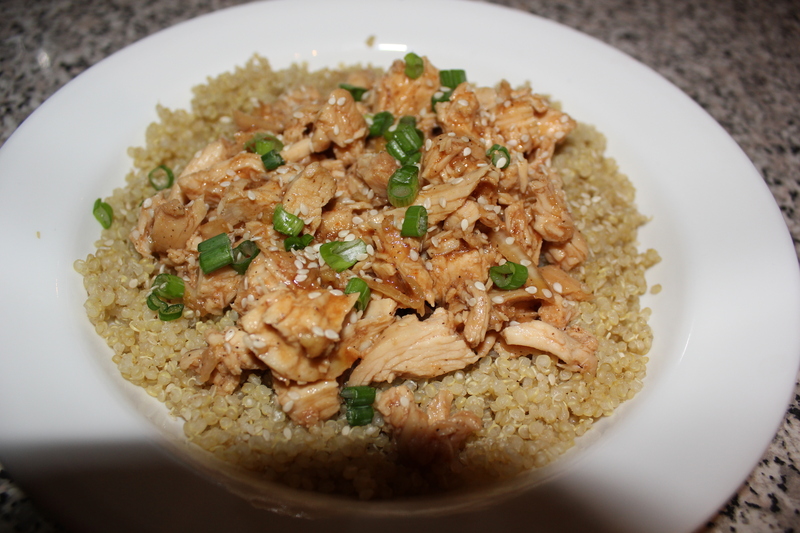 Once the chicken is finished cooking serve it on top of your quinoa and drizzle some of the extra sauce. Top with scallions and sesame seeds. 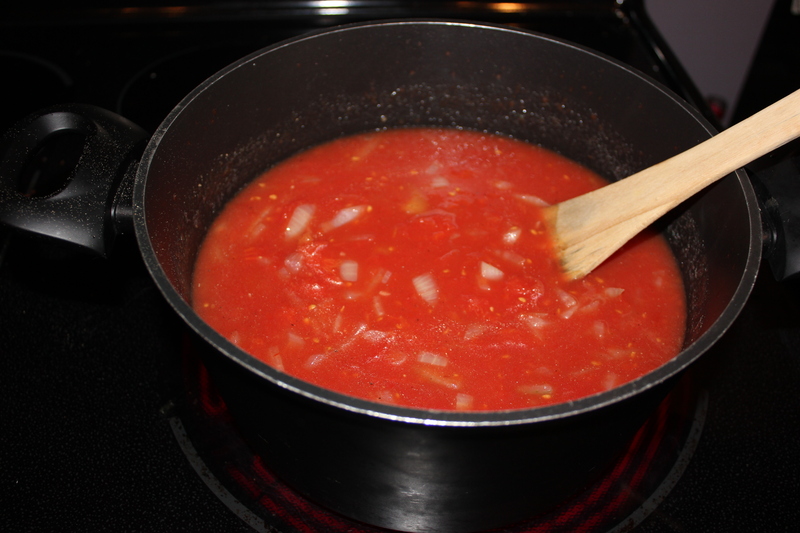 This is a recipe for a flavourful bacon & mushroom tomato sauce that can be served over pasta (I used gluten free), chicken, quinoa, spaghetti squash…or anything else you’d like! It easy to do and doesn’t take long at all. 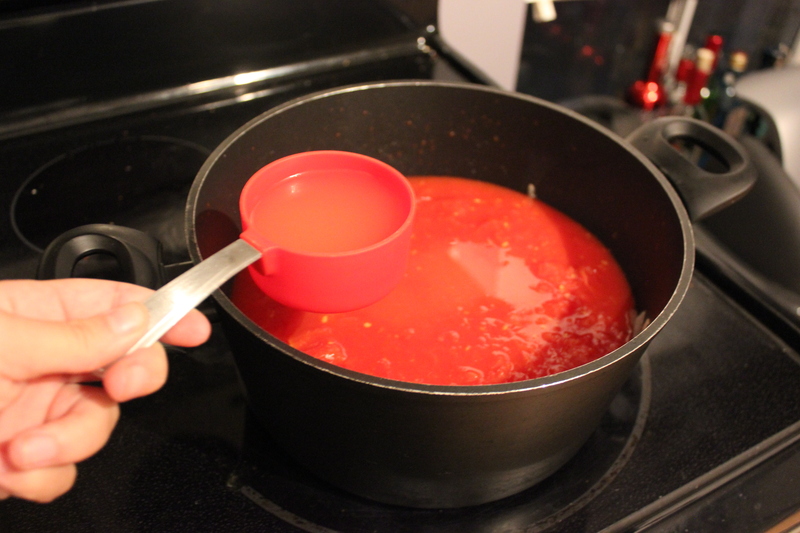 Tomorrow ( January 4) is National Spaghetti Day, so what better way to celebrate than with a new tomato sauce! First, I fully cooked the bacon, and took it off the pan before it was crispy. I set it aside in paper towel to absorb some of the grease. Don’t worry about it getting cold, it will have a chance to heat up again later. 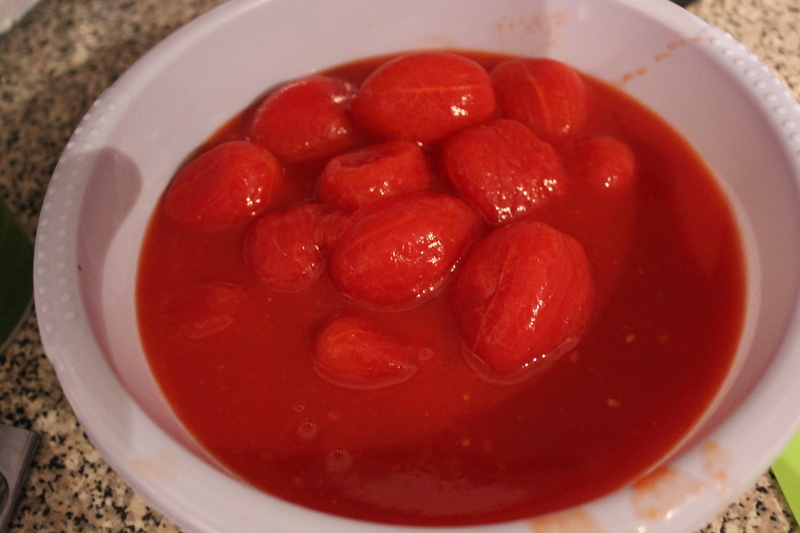 I then emptied the can of tomatoes (including the juice) into a large bowl, where I crushed them by hand. 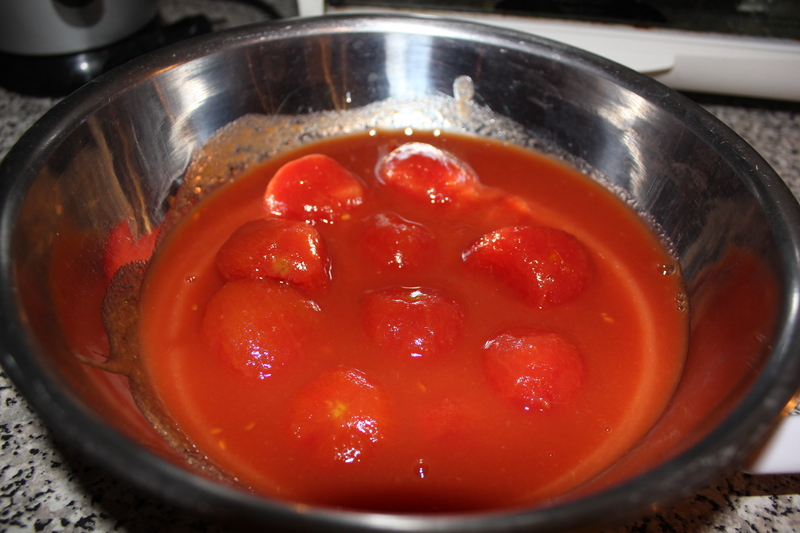 If you like a chunkier tomato sauce, you can tear the tomatoes into large pieces. Then set aside. 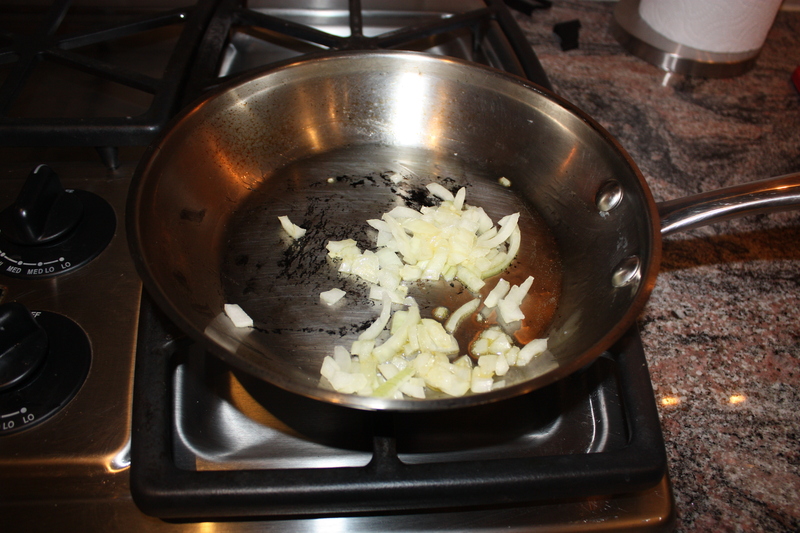 Heat up the oil in a medium -sized pot on medium-high heat. 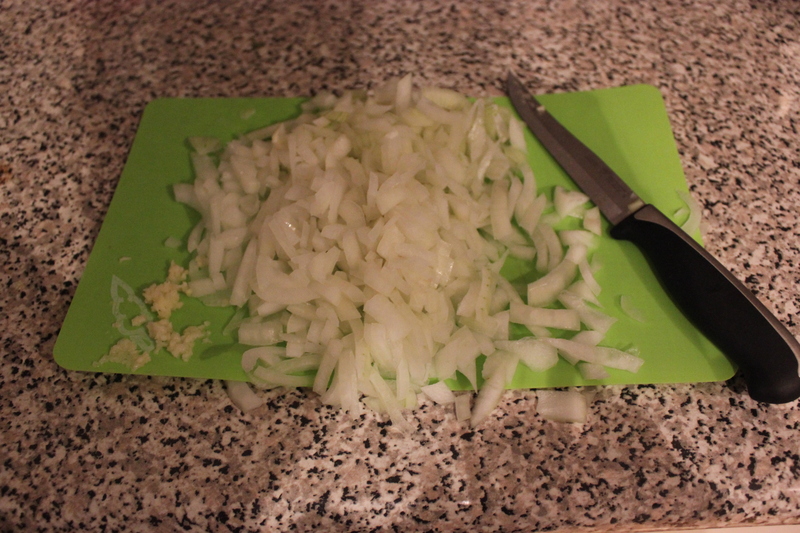 Add the garlic and stir for 1 min until fragrant.Then add the onions and cook until clear. 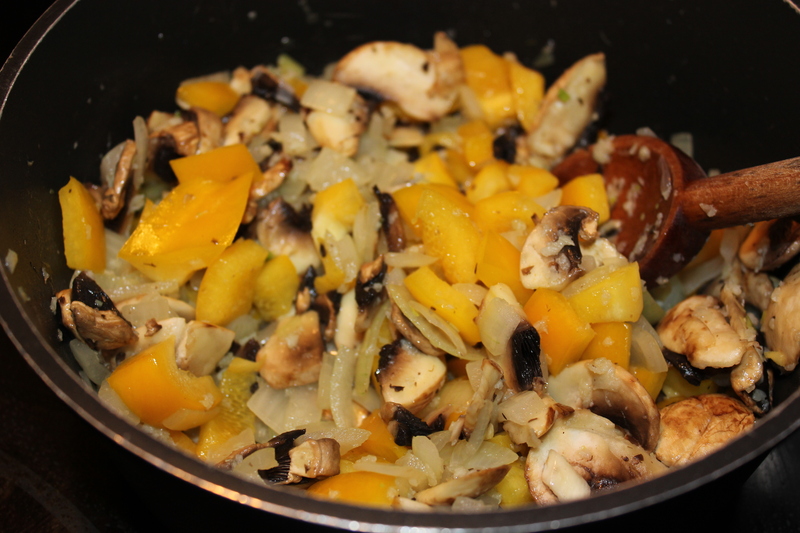 Add the mushrooms and yellow pepper and let cook ( still med-high heat) until the mushrooms begin to brown. Then add the carrots and cook until they begin to soften. 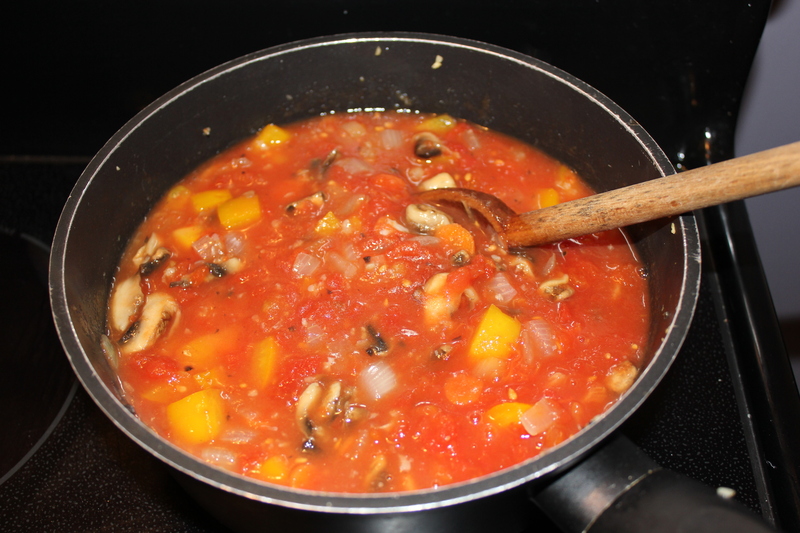 Once all of the vegetables are soft, add the crushed tomatoes and all of the juice and let simmer for 10-15 minutes. When the sauce is nice and hot, add the bacon. Stir, and make sure all ingredients are mixed well. Then your sauce is ready to go! Serve over your favourite pasta, chicken parmesan, or quinoa! We all have to admit that spaghetti is everyones ‘go-to’ when we don’t feel like cooking. It’s cheap, easy to make and doesn’t involve a lot of effort. However, there are so many different ways you can transform spaghetti from a simple dish to something amazing. I recently made this meal for 8, however you can easily alter it to feed 10 or 1. 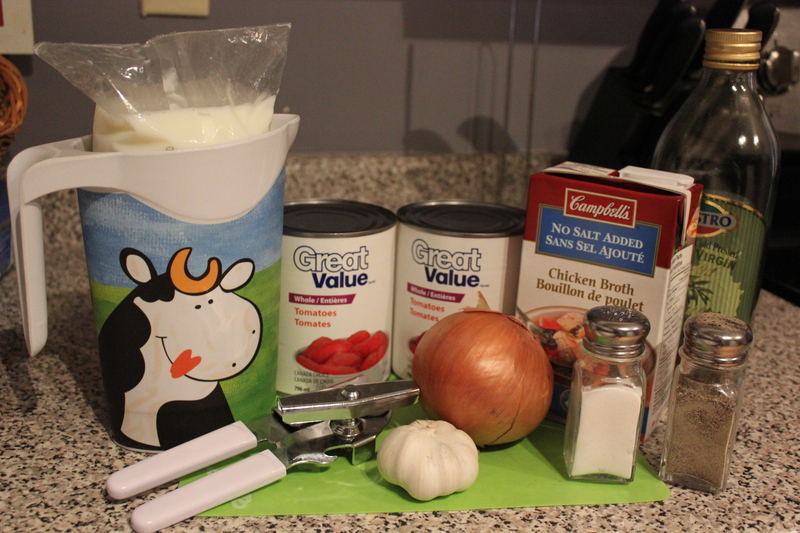 The ingredients below were used to feed 8 people, so don’t make this if you’re 1! 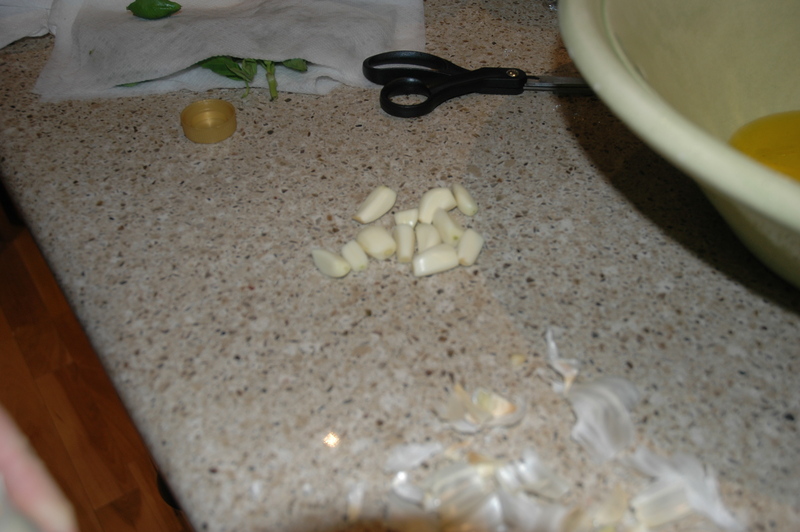 First, you need to press all of your garlic into a large bowl. When this is done, add your 1 cup of extra virgin olive oil. Next, chop up all of your basil finely, then add to the garlic and olive oil. 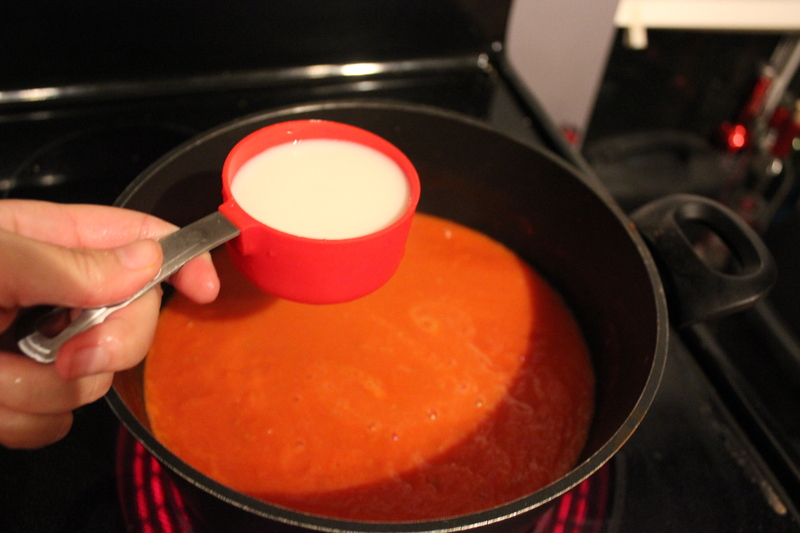 Now, in order for the dish to be creamy, you need to shave off the skin from the cheese. I do this using a vegetable peeler. You can do this using a knife, but I would suggest using the peeler because it’s faster and you won’t risk peeling off chunks of cheese! Once this is done, cut the cheese into small squares. Chop the tomatoes the same way, and add it all to the bowl. At this point you can add the salt and pepper. I didn’t write a specific amount because it all depends on how salty or peppery you like your food! Cover the bowl in saran wrap, and let it sit at room temperature for about 1-2 hours. This allows the cheese to melt a bit, and all of the ingredients to absorb each others flavours. Finally, cook your pasta, drain it then add it to the bowl. Mix thoroughly; it will look messy but I promise it’s delicious! Fall is the season for warm, comfort foods that you can eat curled up on the couch with a blanket and a sweater. 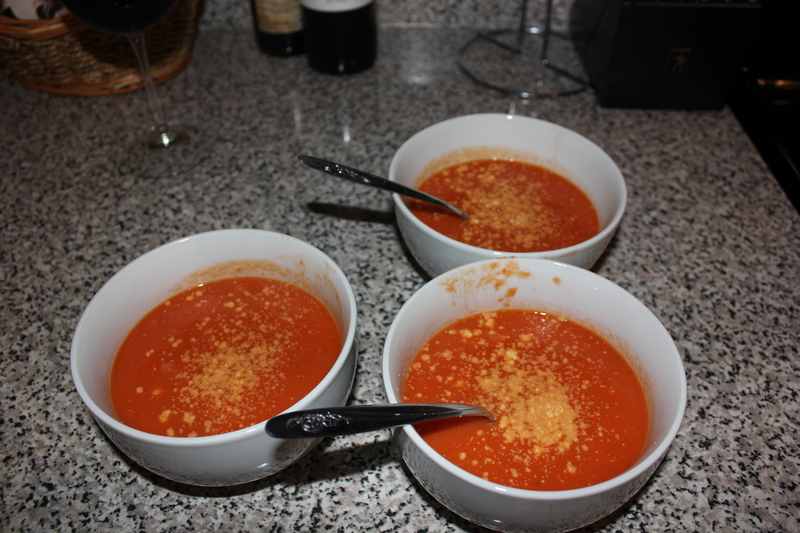 This is a recipe for an easy and quick tomato soup, that wont make too much of a mess. Top with parmesan cheese or salt and pepper to taste and serve! 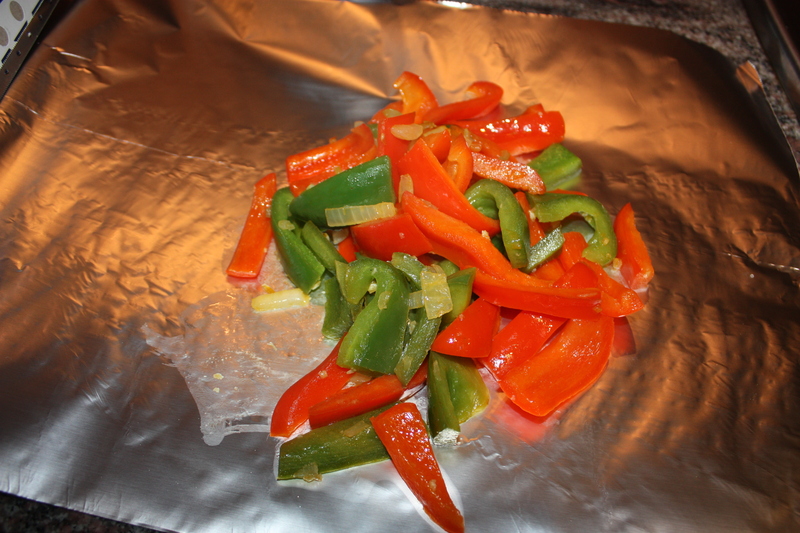 I usually start by cooking the onions and peppers first and setting them aside in tinfoil to stay warm. 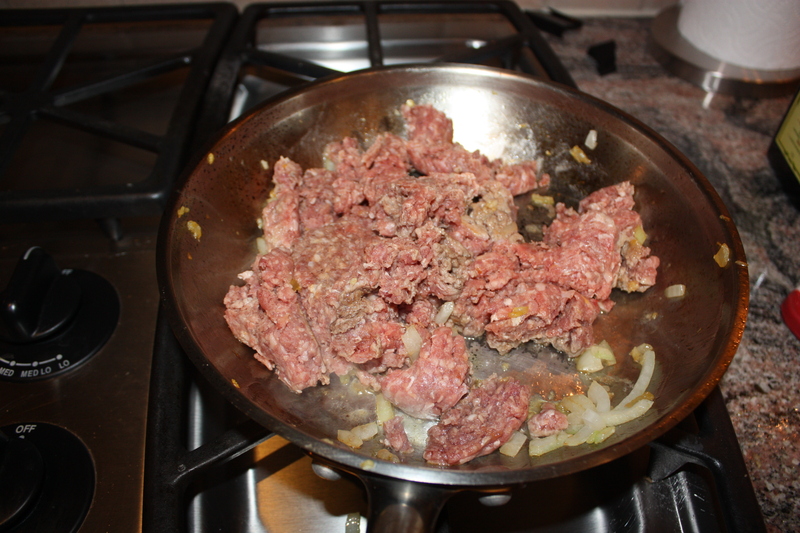 I then prepare the ground beef and while that is cooking I prepare the yogurt sauce, which is a good alternative for sour cream. 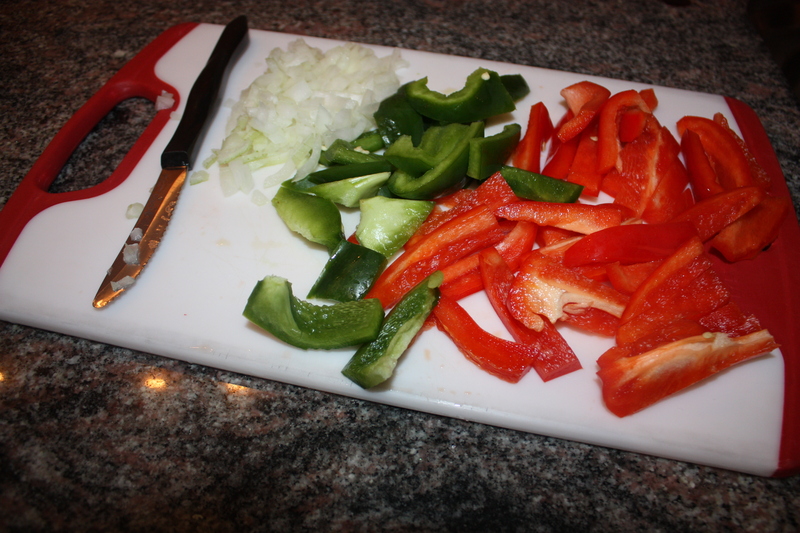 Chop 1 1/2-2 Peppers, whichever colours you prefer( I usually use red, orange, or yellow). 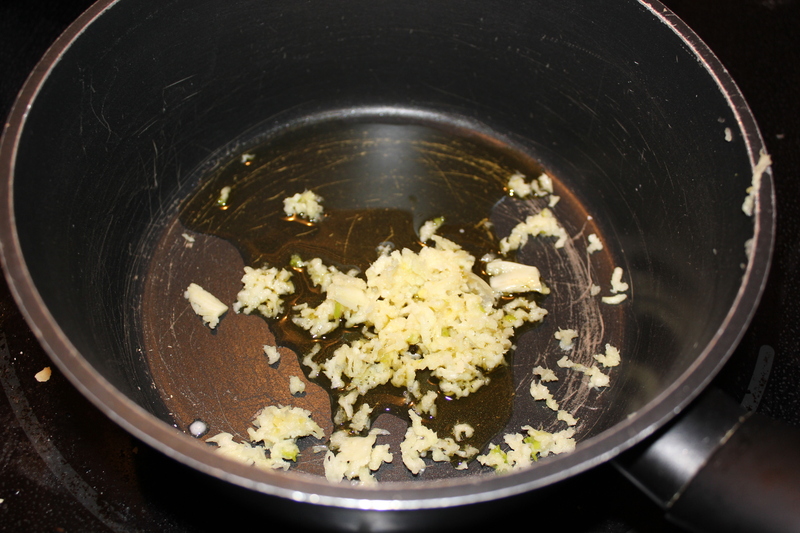 Saute 1/2 onion and 1 clove of garlic, just like you did for the peppers. 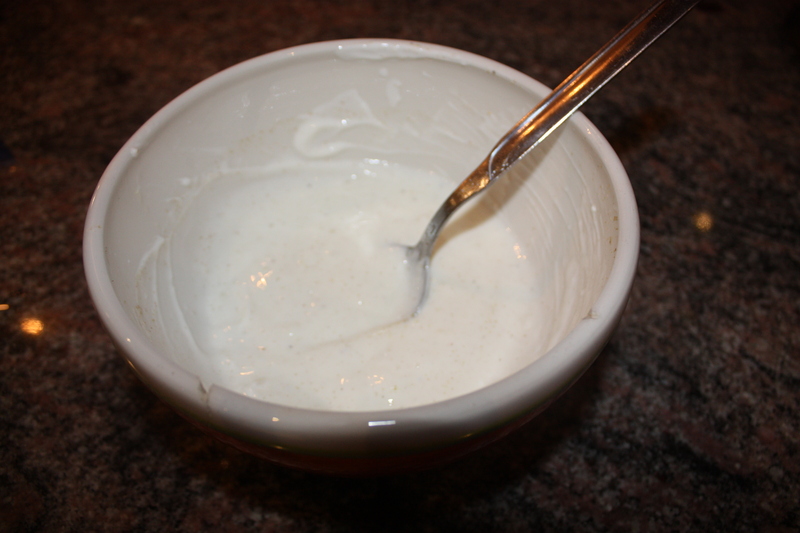 This is a good, healthier alternative for sour cream. 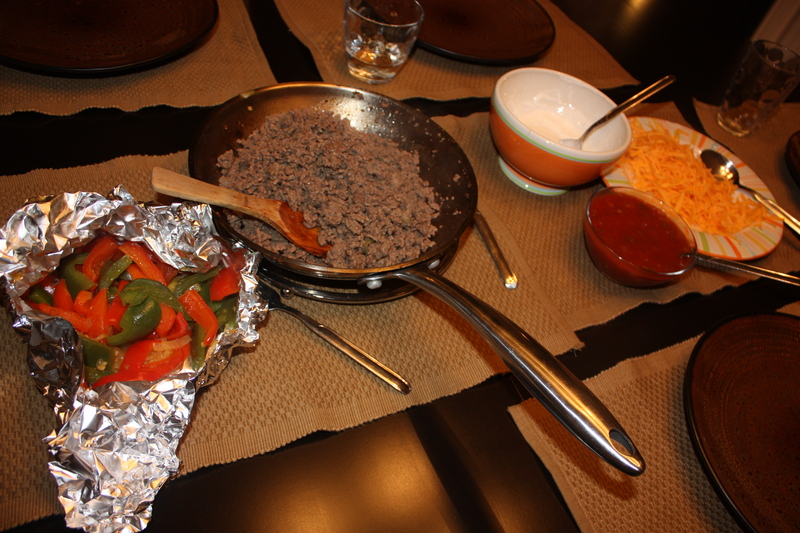 Serve with tortillas, grated cheese, guacamole, salsa, hot sauce, and any other taco or fajita toppings that you like!